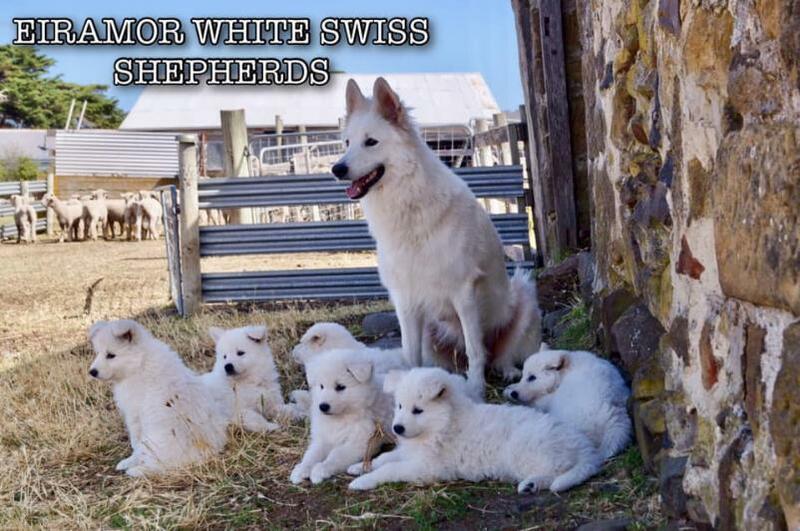 EIRAMOR White Swiss Shepherds is located at "Homewood" our farm, in Tasmania's stunning Carlton River. We are registered as breeders and exhibitors. Our dogs are registered with the 'Australian National Kennel Council '(ANKC) Dogs Tasmania. In 1995 we were lucky enough to have a 6 week old White Shepherd pup come into our lives who we called "Tajah". She was my dear companion for 13 years and had such an impact on all of us. With a lifelong ambition to breed quality dogs our choice was the gorgeous White Swiss Shepherd . I was convinced that this was the breed I wanted to promote and surround myself with;this was one of the best decisions we have made. Our dream of showing and breeding the White Swiss Shepherd has been realised. We breed long coated dogs and produce wonderful family companions with sensational temperaments.